On January 6, 2015, at a meeting of the American Astronomical Society, a team of scientists (analyzing data from NASA's Kepler Space Telescope) announced the discovery of eight new planets orbiting in or near the habitable zone of their host stars in Constellation Lyra. The two most Earth-like planets discovered are Kepler 438 b and Kepler 442 b, and both orbit orange to red dwarf stars that are smaller and cooler than our Sun. Kepler 438 b circles its star every 35 days, while Kepler 442 b completes one orbit every 112 days. With a diameter just 12 percent bigger than Earth, Kepler 438 b has a 70-percent chance of being rocky, while Kepler 442 b is about a third larger than Earth (probably a super-Earth), but still has a 60-percent chance of being rocky (CfA new release; and Torres et al, 2015). On April 17, 2014, a team of astronomers (analyzing data from NASA's Kepler Space Telescope) announced that an Earth-sized planet (within 10 percent of Earth's diameter) had been found orbiting in the habitable zone of red dwarf star, Kepler 186, located around 490 light-years away from our Solar System in Constellation Cygnus. Designated Kepler 186 "f," the planet has a 130-day orbit at a distance of about 0.36 AU from its host star, which is located at the outer edge of Kepler 186's habitable zone but just within Mercury's orbit around our Sun, Sol, and so should be far enough away from its host star that the planet is unlikely to be tidally locked to its star. Current calculations indicate that high noon on the planet would still be as dim as an hour before sunset on Earth. Its host star is about half the size (with roughly half the mass) of Sol, and four other planets have already been detected orbiting within the inner edge of its habitable zone (NASA Kepler news release; SETI press release; and Elisa Quintana, Kepler research scientist). 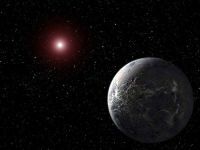 On March 4, 2014, a team of astronomers announced that analysis of new and older radial-velocity data from nearby red dwarf stars indicates that most such stars may have at least one planet below 10 Earth-masses each. 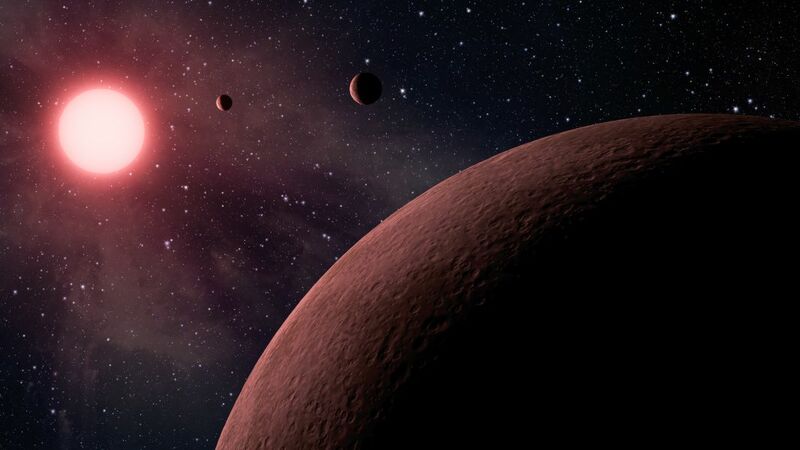 In addition to 10 unconfirmed, weaker "signals," the team was able to detect eight super-Earths around red dwarfs between 15 and 80 light-years away from our Sun, Sol, of which three orbit within the habitable zones of their host stars. 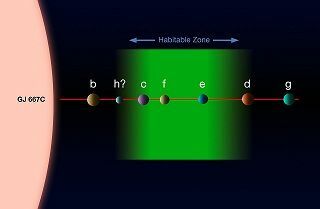 They calculate that such habitable-zone super-Earths may orbit around at least a quarter of the red dwarfs in the Solar neighborhood (UH news release; and Tuomi et al, 2014). 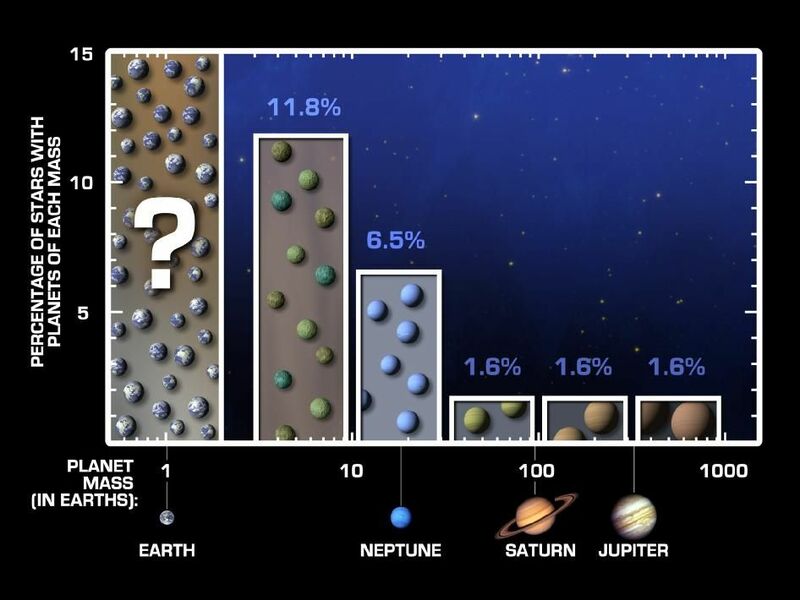 On November 4, 2013, a team of astronomers revealed that data collected from NASA's Kepler Space Telescope indicate that 22 +/-8 percent of "Sun-like" stars (spectral type G and K type dwarfs) have Earth-sized planets (1 to 2 times Earth's diameter) in their habitable zones. 11 +/-4 percent of these Earth-sized planets would receive 25 to 400 percent of the stellar energy that Earth receives from the Sun, and 5.7 +1.7/-2.2 percent would have orbital periods of 200 to 400 days (Petigura et al, 2013; and data supplement). On June 25, 2013, astronomers announced the Gliese 667 C has at least six planets and confirmed that at least three (possibly four) super-Earths (possibly four) orbit within the habitable zone around the star. A suspected seventh planet (designated "h?") 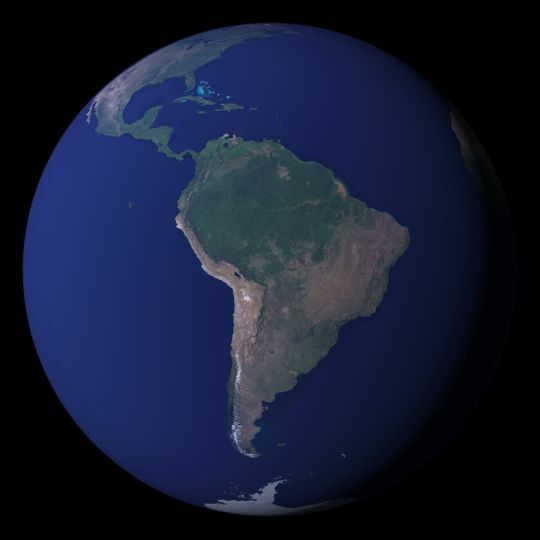 just outside the inner edge of the habitable zone may have only 1.1 Earth-mass (ESO news release; and Anglada-Escude et al, 2013). On February 6, 2013, astronomers analyzing data from NASA's Kepler Space Telescope announced that some six percent of red dwarf stars may have habitable, Earth-sized planets. 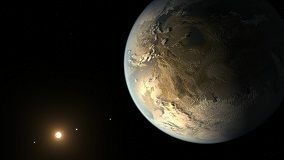 Recalibrated for the size of their host star now calculated to be red dwarfs, one Earth-sized and two super-Earth planets were identified as orbiting within their stars' habitable zones. The three habitable-zone planetary candidates identified in this study are: Kepler Object of Interest (KOI) 1422.02, which is 90 percent the size of Earth in a 20-day orbit; KOI 2626.01, 1.4 times the size of Earth in a 38-day orbit; and KOI 854.01, 1.7 times the size of Earth in a 56-day orbit. All three are located about 300 to 600 light-years away and orbit stars with temperatures between 5,700 and 5,900 degrees Fahrenheit (CfA press release; and Dressing and Charbonneau, 2013). On January 7, 2013, NASA's Kepler Mission announced the detection of 461 new planetary candidates. Although four have less than twice the diameter of Earth and may orbit within their host star's habitable zone, they are all larger than 1.25 times the size of Earth's diameter and so are classed as super-Earths. 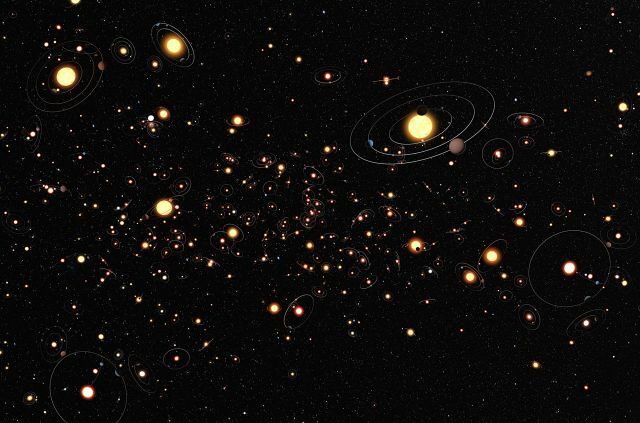 On the other hand, Kepler has now detected 351 Earth-sized, planetary candidates (Kepler news release). On October 16, 2012, a team of astronomers announced the discovery of a planet with around 1.13 +/- 0.09 Earth-masses in a very hot and tight, circular orbit around Alpha Centauri B, using the European Southern Observatory's the High Accuracy Radial velocity Planet Searcher (HARPS) instrument on the 3.6-metre telescope at ESO�s La Silla Observatory in Chile. 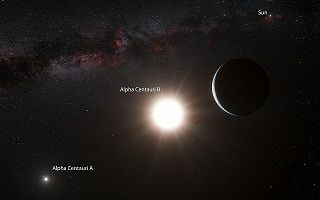 Due to the close binary orbital interactions of the host star with Alpha Centauri A and Star B's own increased stellar activity during recent years, the astronomers were only able to detect the radial-velocity variations of host star B that were caused by the 3.236-day orbit of the planet (with a semi-major axis of 0.04 AU) only after more than four and a half years of careful observation. Given that the presence of one close-orbiting planet usually indicates the presence of others, many astronomers are now expected to devote more resources to detecting such potential planets around Star B (ESO press release; and Dumusque et al, 2012). 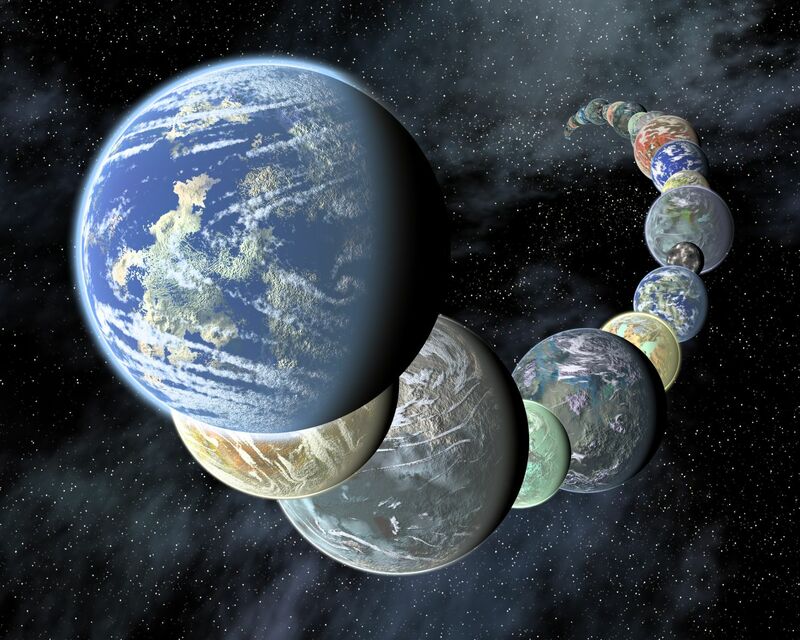 On January 26, 2012, scientists working on NASA's Kepler Mission team announced the discovery of 11 new planetary systems hosting 26 confirmed planets, as well as additional planetary candidates. These discoveries nearly double the number of confirmed planets discovered using the Kepler space telescope and triple the number of stars known to have more than one planet that "transits" in front of its host star. Fifteen of the newly confirmed planets are estimated to be only between Earth and Neptune in size, and the smallest may have a diameter only 50 percent larger than Earth's (Kepler 33 b). The smallest planet orbits Kepler-33, a star older and more massive than our Sun, Sol, which also had the most detected planet candidates at five (ranging in size from 1.5 to 5 times that of Earth) in uninhabitable, hot inner orbits closer to their star than even Mercury around our Sun (NASA Kepler news release; and JPL news release). around 130 light-years away (more). 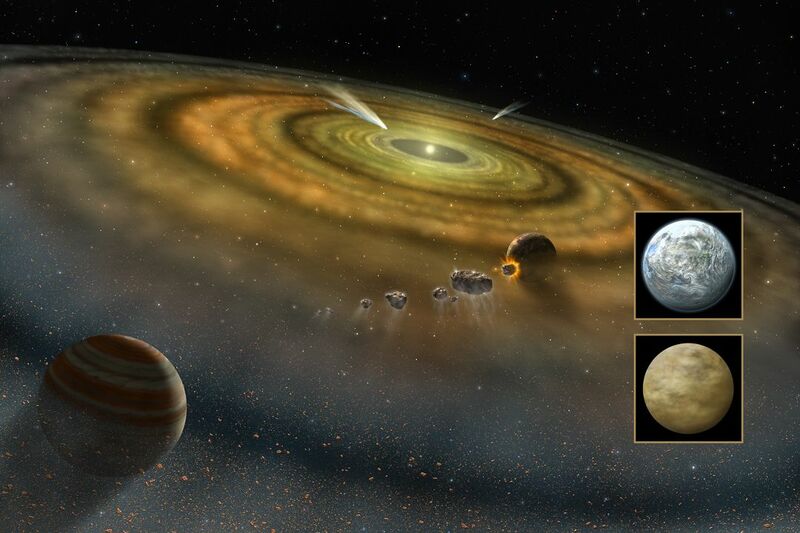 On January 11, 2012, scientists working on NASA's Kepler Mission team announced the discovery of the three smallest planets yet detected, which are in tight orbits around a dim star located around 130 light-years away in Constellation Cygnus. The planets have hot, uninhabitable inner orbits lasting less than two days around a red dwarf (spectral type M) star designated KOI-961 and have only 0.78, 0.73 and 0.57 times Earth's diameter (where the smallest may be as small as Mars). The planets' diameters were estimated by modelling the observed dips in starlight with the well-known characteristics of nearby Barnard's Star, which appears to be a near-twin of KOI-961 (NASA news release and press release; Vanderbilt University news release; Kepler news release; JPL news release; and Ron Cowen, Nature, January 11, 2011). they are thought to be very hot (more). On January 11, 2012, astronomers working with the European Southern Observatory (ESO) announced that most stars in our Milky Way Galaxy have planets. 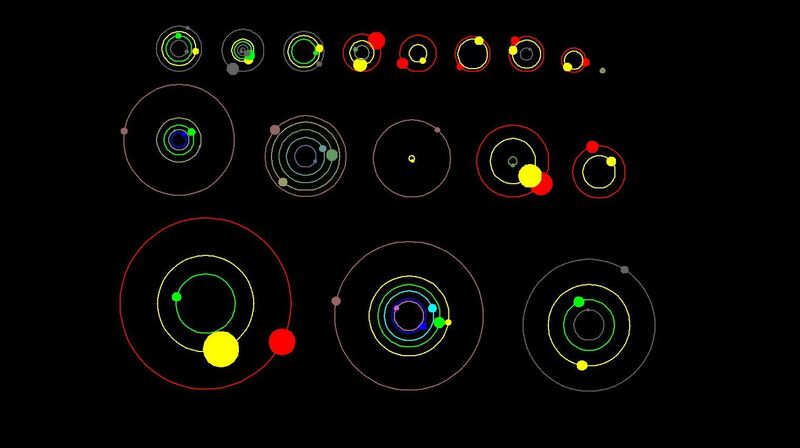 They used gravitational microlensing to analyze how common planets may be around stars. After six years of observation involving millions of stars, they concluded "that stars are orbited by planets as a rule, rather than the exception." While other techniques are biased towards detecting planets close to their stars (such that 17 to 30 percent of Sol-type stars have been found to have such inner-orbit planets), gravitional lensing has found reveals the fraction of planets at farther orbits. In their survey of planets within 0.5 to 10 AUs of their host star, the astronomers found that 17 +6/-9 percent of observed stars had Jupiter-class planets (of 0.3 to 10 Jupiter masses), 52 +22/-29 percent had Neptune-class planets (of 10 to 30 Earth-masses), and that 62 +35/-37 percent had super-Earths of 5 to 10 Earth-masses, which is consistent with the conclusion that an average star in the Milky Way should have one or more planets within an orbital distance of 0.5 to 10 AUs, and that there may be some 10 billion Earth-sized planets in the galaxy (ESO press release; Anil Ananthaswamy, New Scientist, January 11, 2012; Jason Palmer, BBC News, January 11, 2012; and Cassan et al, 2012). which many are Earth-sized (more). No Earth-like planet has been identified and verified, as of December 16, 2012 (related discussion from Rachel Courtland, New Scientist, July 28, 2010). On March 8, 2011, two astronomers analyzing the first four months of data from NASA's Kepler Mission submitted a pre-print with an initial estimate that the 1.4 (+/- 0.5) to 2.7 (+/- 0.9) percent of the Sun-like stars (of FGK spectral types) in the Kepler sample of nearly 155,500 may host Earth- and super-Earth sized planets with orbits within their host star's habitable zone (Catanzarite and Shao, 2011). 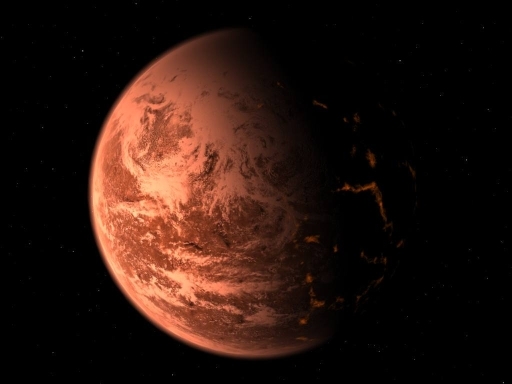 The variance in the estimates depended on the use of a conservative versus a more conventional definition of habitable zone (Kasting et al, 1993; and ExoPlanet Task Force, 2008 report in pdf, pp. 102-103). 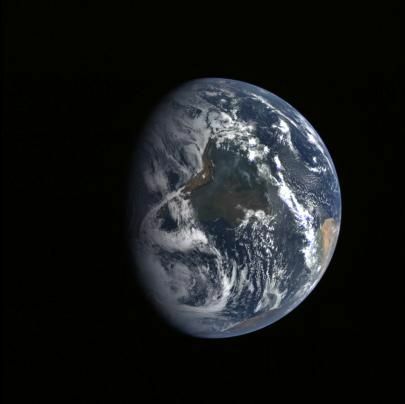 Their calculations suggested that Kepler will eventually find a total of 12 such "Earth-analog" planets after three to four years of observation, and that four of these planets have already been detected. The astronomers expect that this estimate of Earth-analog planets can be refined as Kepler's data set grows to 3.5 to six years of observations (Catanzarite and Shao, 2011). 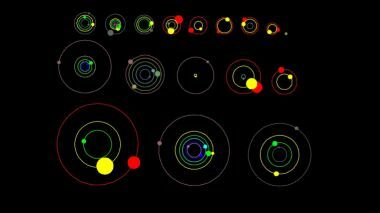 planets in habitable orbits (more). 22.7 M1.5-2.5 V Gl 667 Ch? =>1.1 ~1 ~0.09 0.1-0.3 16.9 0.046 0.06 hot? hot? 400-550 K-M V Kepler 438 b >1? 1.12 0.17 ... 35.2 0.096 0-0.13 hot? hot? 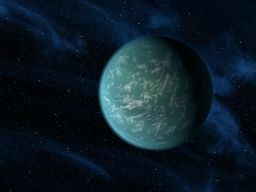 490 M V Kepler 186 f ~1? ~1.1 0.36 0.1?-0.4? 130 0.36 ? warm? warm? ~100? M? KOI-326.01 ? 0.85 +/- 0.30? 0.05? ... 9.0? 0.025? ? 138? 59? On February 2, 2011, the Kepler Mission revealed the detection of 54 potential planetary candidates which orbit their host star within or near its apparent habitable zone -- where liquid water can exist on the surface of an Earth-type planet. 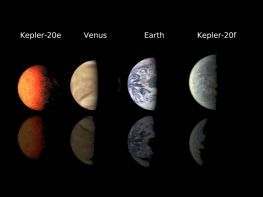 Five of these planets are near Earth in size, but they orbit stars that are smaller, dimmer, and more orange-red than our own Sun, Sol. 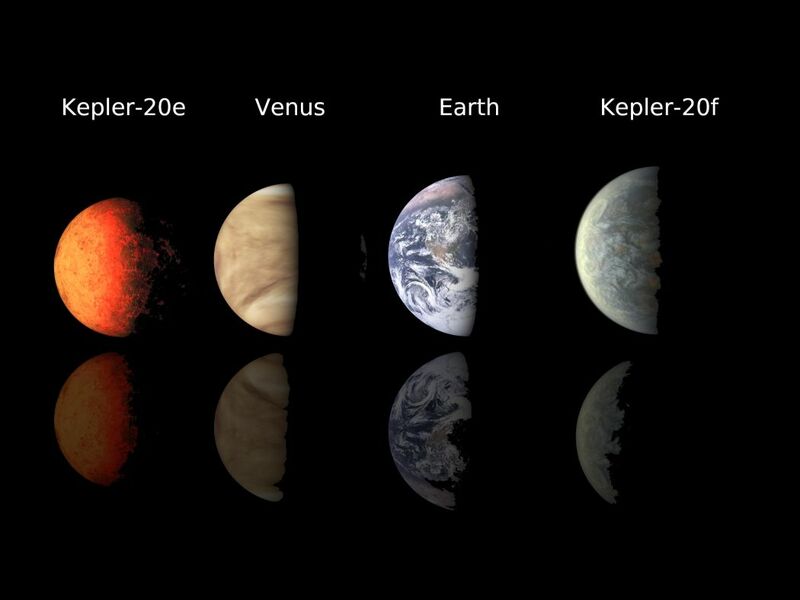 While the other 49 are larger, some astronomers wonder if any of them have moons that could be massive enough to support Earth-type life (NASA/Kepler press release). near, their host star's habitable zone (more). The five "Earth-sized" planetary candidates have estimated planetary diameters within range of being Earth-sized (0.5 to 1.25 times Earth's diameter) given error margins ranging from 25 to 35 percent due to the uncertainty in the size of their host star and of the "depth" of the observed transits (decrease in stellar luminosity) across the surface of the star. For each planetary candidate, the equilibrium surface temperatures are derived from "grey-body spheres without atmospheres ... [and] calculations assume a Bond albedo of 0.3, emissivity of 0.9, and a uniform surface temperature ... [with uncertainties of] approximately 22% ... because of uncertainties in the stellar size, mass, and temperature as well as the planetary albedo." Actual planetary surface temperature would likely be higher due to warming by any atmosphere gases that might be present (Borucki et al, 2011, pp. 21-23, Table 6). host star, KIC 9880467 (more. KOI-326.01, possibly the smallest of the five potentially Earth-sized, planetary candidates found in or near their host stars by NASA's Kepler Mission, is now thought to be larger and possibly hotter (see table Potentially Earth-sized Candidates in or near Habitable Zone" below). 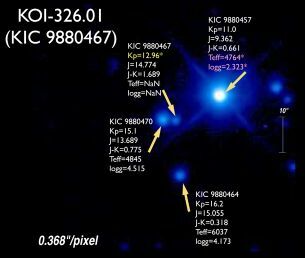 Due to an erroneous notation in a reference catalog on the brightness of KOI-326.01's host star (KIC 9880467) relative to a "neighboring" star in Kepler's line of sight, further analysis of KIC 9880467 suggests that either the planet is warmer and larger than previously calculated or the planet actually orbits the other star (KIC 9880470) and is much, much hotter. While more analysis is needed, the Kepler team no longer believes that KOI-236.01 is either Earth-sized or potentially habitable (Andrew Grant, Discover, March 8, 2011). As the new decade began in January 2010, more than a few astronomers appeared hopeful that, within a few years, even Earth-like planets may be discovered that can potentially support Earth-type plants and animals. New space-based based satellites have been working well (as the Kepler Mission joined Corot), and ground-based observers have been creative at developing techniques to find ever smaller extra-Solar planets, rather than the easier to detect gas giants. Many believe that some terrestrial planets will eventually be found in orbit within their host star's "habitable zone" with both liquid water as well as land on their surface. After finding 400 some gas giants by the end of 2009, astronomers have been hoping to find rocky planets that are small enough in mass and diameter within a star's habitable zone to be Earth-like (Franck et al, 2000; and Kasting et al, 1993). NASA's Kepler Mission has proposed to define the size of an Earth-type planet to be one with between 0.5 and 2.0 times Earth's mass, or one having between 0.8 and 1.3 times Earth's radius or diameter, where 0.5 Earth-mass is the minimum needed to hold on to an oxygen atmosphere (Catanzarite and Shao, 2011). Finding both mass and radius, moreover, would enable the calculation of density which will hopefully lead astronomers to planets made mostly of silicate rocks -- rather than water or some other composition unlike Earth's. On February 17, 2008, at the Annual Meeting of the American Association for the Advancement of Science, astronomers working with NASA's Spitzer Space Telescope announced that terrestrial planets might form around many, if not most, of the nearby Sun-like stars in the Milky Way galaxy. After surveying six sets of stars with masses comparable to our Sun, Sol, which were grouped by age, they found that planets capable of hosting Earth-type life might be more common than previously estimated. After finding warm dust possibly indicative of terrestrial planet formation in the inner region of nearby, Sol-type stars that are less than 300 million years old, they estimated that at least 20 percent, and possibly as much as 60 percent, of stars similar to the Sun are good candidates for forming rocky planets (JPL (press release; and Meyer et al, 2008). 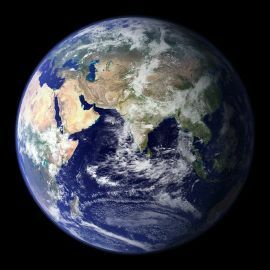 Combined with another study of warm dust from terrestrial planet formation around stars from 10 to 30 million years old (Currie et al, 2008), the two studies suggest that the conditions that led to the formation of Earth may be found around many stars that are between three million and 300 million years old. 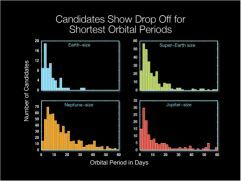 orbital period of 50 days or less (more). 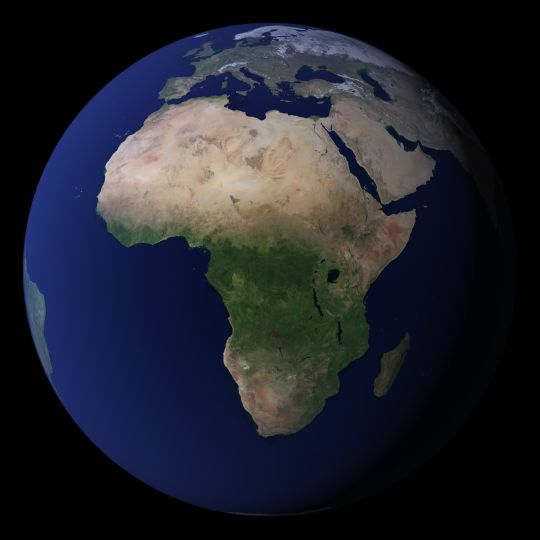 On October 28, 2010, astronomers working on the NASA-UC Eta-Earth Survey (associated with the University of California at Berkeley; see Andrew Howard's July 2010 presentation) announced that "Earth-sized" planets (with 0.5 to two Earth-masses) are probably common around "Sun-like" (i.e., Sol-type) stars. 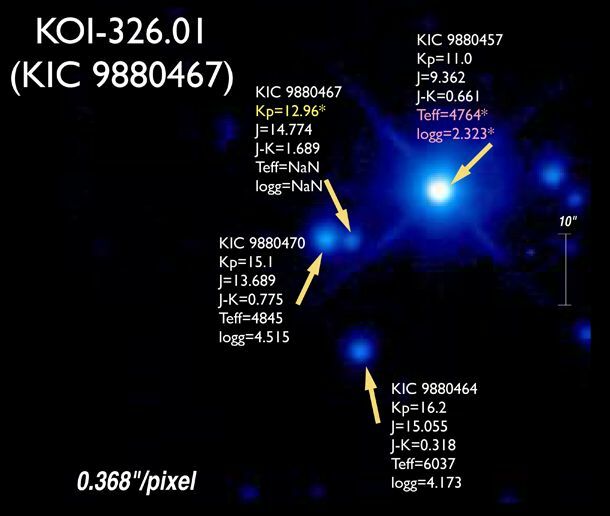 The astronomers used the Keck Observatory for five years to search around a random sample of 166 Sun-like stars of spectral types G, K, and M from 235 of a much larger population of such stars located within 25 parsecs (81.5 light-years) of suitable Hipparcos Catalogue brightness, luminosity, and low chromospheric activity for planets orbiting their host star within only one fourth of an astronomical unit (0.25 AU), which is less than that of Mercury's average orbital distance of 0.4 AU in the Solar System and the equivalent of an orbital period (or "year") of only 50 days or less. Using radial-velocity measurements and the doppler method to detect a "wobble" of about one meter per second, they looked for planets ranging from 1,000 to as little as three times the mass of Earth that they are now able to detect with that method, and then they extrapolated downward for smaller planets. Finding 33 such close-orbiting planets around 22 stars (with 12 planets around 10 more stars still to be confirmed) from the random sample of 166 Sun-like stars, the astronomers determined that many more small planets were found than large ones, which suggests that small planets are more prevalent in Sol's region of the Milky Way Galaxy, and possibly elsewhere as well. and animal life (see the ESA's new Exoplanet Roadmap). 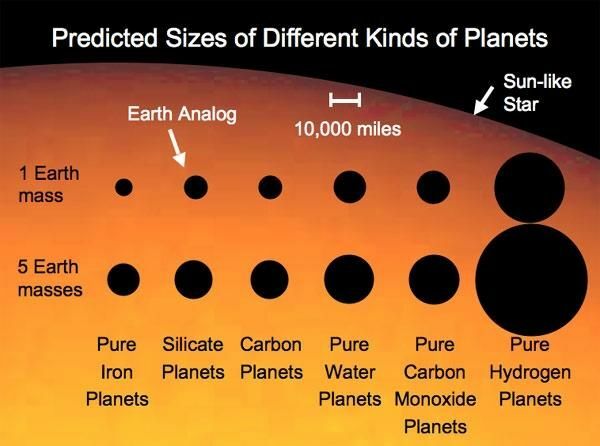 Within the Solar neighborhood, the astronomers estimate that at least one in four (23 percent) in Sun-like stars -- but possibly higher if 12 more planets are confirmed -- have Earth-sized planets, and that roughly 12 percent are "super-Earths with between two and 10 Earth-masses. 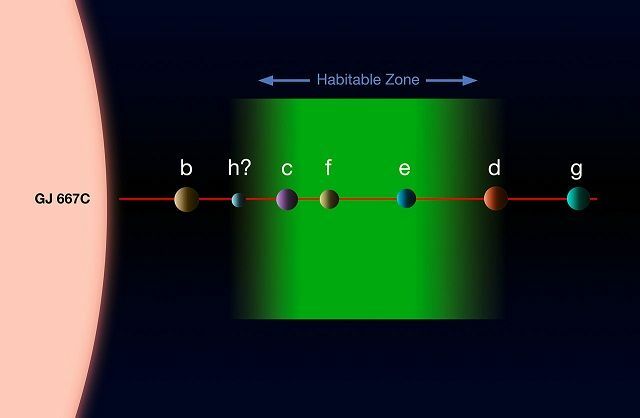 These results indicate that potentially habitable planets favorable to Earth-type life -- that is, Earth-sized planets orbiting a little farther out from their host stars in the "habitable zone" where liquid water can exist on the planetary surface -- may be relatively common. Applying statistics derived from this survey to NASA's Kepler Mission which uses the less productive transit method of planet detection (that depends on rare change alignments of their orbit in front of their host star but over a much larger survey population of some 156,000 stars), the astronomers forecast that Kepler should find some 120 to 260 Earth-sized planets orbiting close in to Sun-like stars (NASA press release; UC Berkeley press release; Andrew Moseman, Discover, October 28, 2010; Richard A. Kerr, Science Now, October 28, 2010; Paul Gilster, Centauri Dreams, October 28, 2010; and Howard et al, 2010). Surprises, of course, may recur. Some theorists now believe that some star systems may be slightly to greatly enriched in particular elements in proportions different enough from those found in the Solar System to have formed planets that are quite unfamiliar. 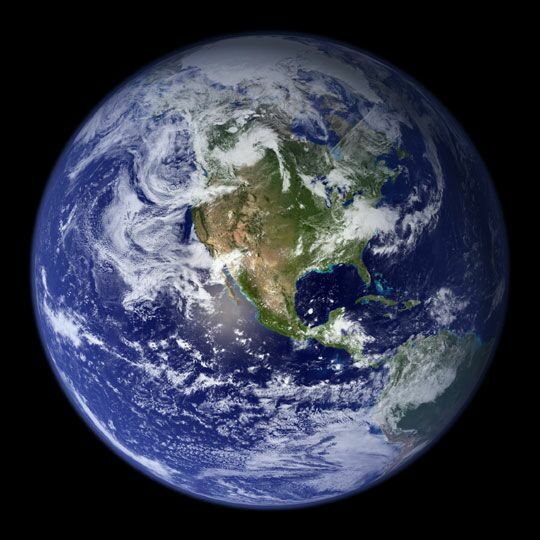 For example, some may be slightly or much richer in carbon rather than oxygen (e.g., Wasp-12b, NASA/JPL press release; and Beta Pictoris, NASA news release), so that carbon compounds like silicon carbide can be a more common constituent of low-mass planetary bodies than oxygen-rich compounds like silicon dioxide. This may have even occurred in the outer environs of Sol's nebula so that even Jupiter may have formed from the seed of a "carbon planet," but in some extra-Solar systems, such carbon-rich planets may have migrated inwards into closer orbits around their host star (Kuchner and Seager, 2005; and Katherina Lodders, 2004). 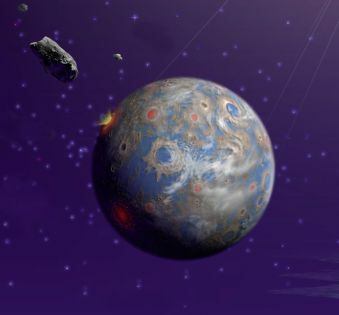 Several other planet types, including "iron planets," have also been modelled (NASA GFSFC news feature; Seager et al, 2007; and David Shiga, New Scientist, September 24, 2007). Some of these types of planets may be "second-generation" objects, formed after a star (or companion star) evolves off the main sequence and ejects dust and gas in a planetary nebula or a supernova explosion (Hagai B. Perets, 2010). 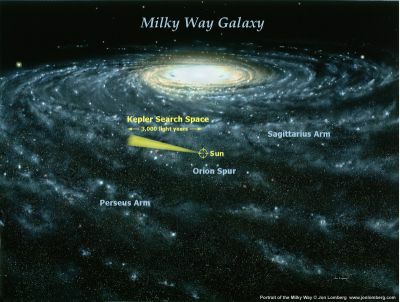 On June 15, 2010, astronomers working on NASA's Kepler Mission released data on all but 400 of some 156,000 target stars. Some 706 stars from this target list were found to have planetary candidates after the first 43 days of observations, but only the identity and some characteristics of 306 stars with at least one planetary candidate were released, including those of five possible multi-planet systems. The Kepler team is holding back data on some 400 of the target stars that are most likely to have Earth-sized -- with planetary candidates of 1.4 Earth-diameters (radii) or smaller within error margin -- and possibly Earth-like planets for further study, until re-scheduled release in February, 2011 (Kepler news release; Dennis Overbye, New York Times, June 15, 2010; Nancy Atkinson, Universe Today, June 15, 2010; Dan Vergano, USA Today, June 15, 2010; Borucki et al, 2010; and Steffen et al, 2010). As these planetary candidates were observed to have a very orbital period (with only 43 days of observation), however, they should be in tight orbits close to their host star and too hot to support liquid water on their planetary surface -- and so not be potentially habitable for Earth-type life (Arbesman and Laughlin, 2010). affect habitability for Earth-type life. 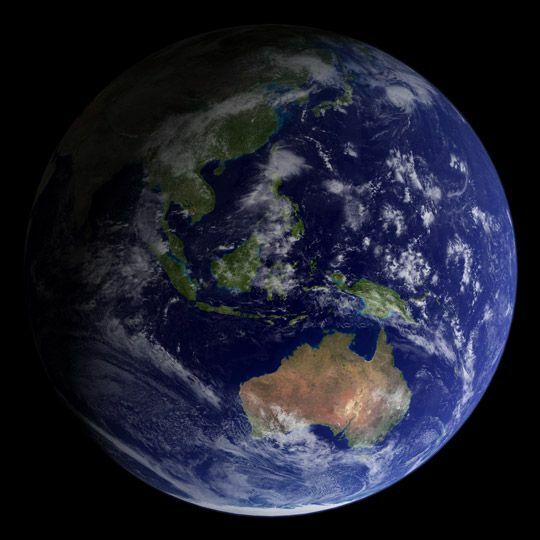 Once an Earth-size planet has been detected in a star's habitable zone, astronomers and planetary scientists would need to ascertain that the planet was actually "Earth-like," habitable for sustaining carbon-based life as is presently known on Earth (Heap and Kuchner, 2009). One way of verifying its similarity to Earth would be to study visible and near infrared light for biological signs of Earth-type life from the planet's host star that was reflected off its atmosphere and surface. 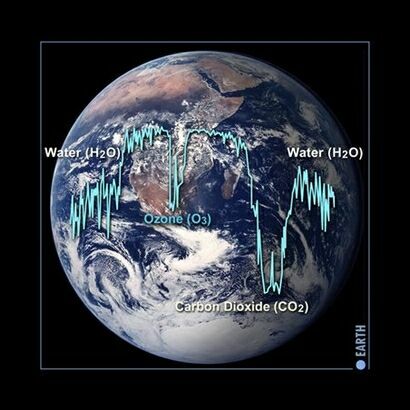 According to geoscientist James Kasting who worked on a NASA preliminary design study (that was not completed), the agency's two, complementary but indefinitely postponed Terrestrial Planet Finder (TPF) projects would have been able to detect molecular oxygen (O2), ozone (O3), water vapor (H2O), and possibly even the presence of chlorophyll from photosynthetic lifeforms on a distant planet's surface (James Kasting, 2010). The ESA's similarly delayed Darwin Mission was a similar proposal for confirming the detection of an Earth-like planet. On February 3, 2010, on the other hand, astronomers confirmed the detection of methane (CH4) -- which can be produced by some bacteria -- in the atmosphere of an extra-Solar planet (a close-orbiting "hot Jupiter" found around HD 189733. This was accomplished with a variation of observing planetary transits known as the secondary eclipse method) using only a ground-based telescope, NASA's Infrared Telescope Facility (Swain et al, 2010; Jason Palmer, BBC News, February 3, 2010; and John Matson, Scientific American, February 3, 2010). Kasting, however, notes in his 2010 book "How to Find a Habitable Planet" (page 235) that Earth-size planets around a Sun-like star would be much more difficult to observe using the secondary eclipse method. in extra-Solar habitable zones (more). Before the TPF and Darwin are finally funded, built, and launched, some astronomers anticipate that the first studies of Earth-sized, extra-Solar planets ("exoplanets") in visible light will use photometry or low-resolution spectroscopy. They could do this with new space- and Earth-based telescopes that are becoming big and good enough in light-gathering gathering power to analyze the colors of distant planets. In the meantime, some astronomers used NASA's Deep Impact spacecraft to carry out its Extrasolar Planet Observations and Characterization (EPOCh) mission, which included looking back with color filters with its High Resolution Instrument at the major planets in the Solar System, as well as Earth's Moon and Saturn's largest satellite, Titan (in between its visits to and launch of an impactor into the surface of Comet Temple 1 in 2005 and its flyby of Comet Hartley 2 on November 4, 2010). 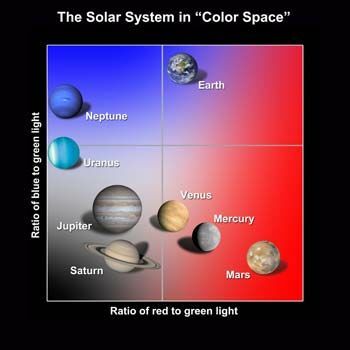 The astronomers then compared the reflected red, blue, and green light imaged from each planetary body based on the wavelengths of sunlight reflected off their surfaces and atmospheres. They found that the planets can be grouped into distinct regions on a plot of the relative amounts of blue versus and red light reflected off them. While the two largest gas giants Jupiter and Saturn can be found in one corner and the smaller gas or "ice giants" Uranus and Neptune in another, the rocky inner planets Mars, Venus, and Mercury are found in yet another area, while the Earth stands alone. 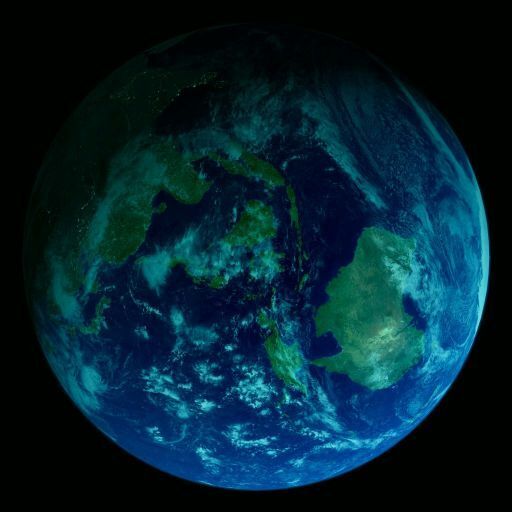 They found that Earth stands out from the other planets because its atmosphere scatters a lot of blue light towards the ultraviolet (Rayleigh scattering) and also does not absorb a lot of light in the infrared due a lower amount of infrared-absorbing gases like methane and ammonia when compared with Jupiter and Saturn. As a result, such a three-color analysis may be useful in preliminary analyses of newly found exoplanets to determine whether they are rocky or gaseous bodies and of their type of atmosphere, a means of pre-screening before the final candidates are given a more thorough investigation to ascertain whether they are truly Earth-like or not (NASA news feature with video; Nancy Atkinson, Universe Today, November 4, 2010; and Crow et al, DPS abstract, 2010). sky and apparent size of their "Sun" (more). Depending on a main sequence star's spectral type, even a planet with Earth's atmospheric composition may be colored differently. 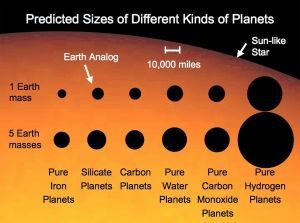 In general, larger and more massive, main-sequence ("dwarf") stars have hotter surface temperatures than our Sun, Sol, and so they radiate more photons, particularly towards the more energetic, bluish end of the spectrum. As a result of their greater luminosity, Earth-like planets would orbit farther away from hotter dwarf stars to avoid getting scorched, but their skies would still appear bluish due to Rayleigh scattering of abundant bluish photons. Around smaller, less massive and dimmer dwarf stars, however, planets would have to orbit closer in order to sustain a surface temperature that is warm enough to keep water liquid and so the star would appear larger in the sky. In addition, stars with surface temperatures of 3,300 kelvins or lower (spectral type M2.5 or redder) would emit so fewer photons towards the bluish wavelengths compared to Sol that the sky would appear whitish down to reddish to Human eyes (more from Earth Science Picture of the Day). 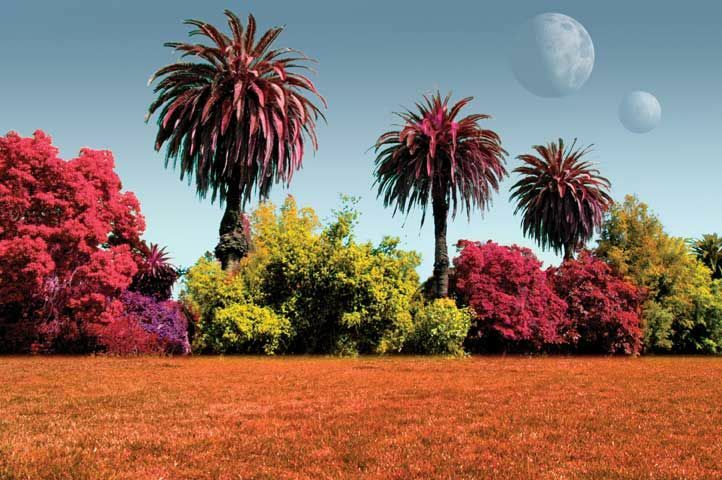 If comparatively more bluish or reddish light reaches a planet's surface than on Earth, photosynthetic plant-type life may may not be greenish in color, because such life will have evolved to different pigments in order to optimize their use of available and so color the appearance of the planet's land surfaces accordingly (more discussion of "alien plants"). 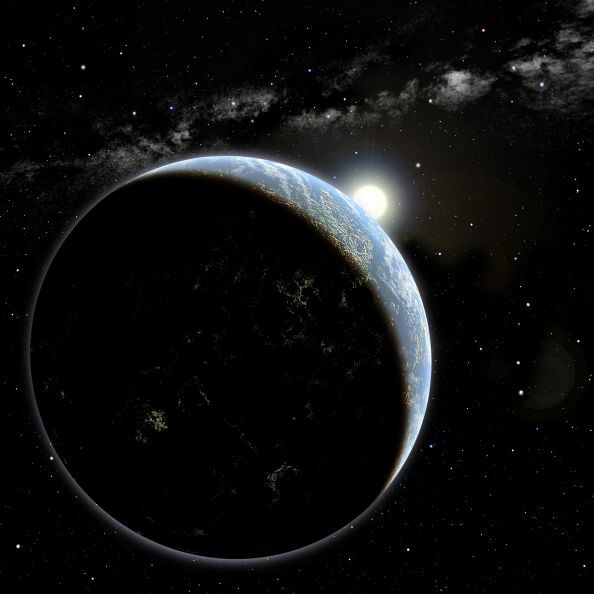 On October 11, 2010, the European Space Agency (ESA) released its "scientific and technological roadmap" for pursuing the "characterization of terrestrial exoplanets." This would include planetary parameters such as their mass, radius, density, internal structure, orbit, atmospheric composition, etc.). The ESA's exoplanet roadmap also discusses the findings and limitations of current planet detection and characterization techniques and what new technologies are needed for better detection and analysis of habitable Earth-like planets in coming years (abstract of ESA Exoplanet Road with a link to the full report in PDF). This roadmap followed an earlier U.S. effort, which established the ExoPlanet Task Force in 2006 to advise the National Science Foundation (NSF) and NASA and published its final report (PDF) in 2008. 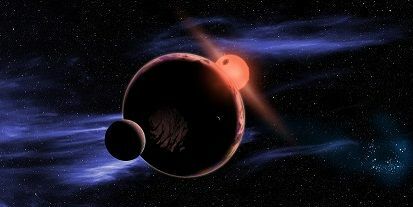 On December 21, 2011, scientists working on NASA's Kepler Mission team announced the discovery of two planets smaller than Earth around "KOI 55" (Kepler Object of Interest 55, or KIC 05807616 or KPD 1943+4058), a B subdwarf star that has already thrown out most of its mass during the red giant stage. 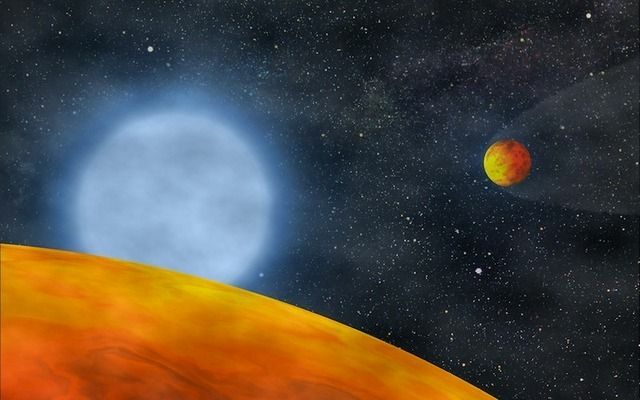 Much brighter, hotter, and smaller than our Sun, Sol, located around 3,900 light-years away, KIC 05807616 has already used up its core hydrogen, then helium, then expanded out to red giant size (enveloping two orbiting gas giants in the process, which eventually evaporated the volatile layers of gas and mantle off the planets), and then shrank back again as an unusually hot form of dwarf star, "a seemingly isolated pulsating hot B subdwarf." Such stars fuse the helium that has built up in their cores after blowing off its surface layer of hydrogen and leaving nothing but a helium fusing core behind for less than 20 million years. In addition to its high temperatures, KOI 55 undergoes regular fluctuations, or "pulsations." Currently designated KOI 55.01 and KOI 55.02, the two planets have around 0.76 and 0.87 times Earth's diameter with orbital distances of only 0.0060 and 0.0076 AU and periods of 5.76 and 8.23 hours around KOI-55, respectively (University of Arizona news release; Center for Research in Astrophysics of Qu�bec press release; Charpinet et al, 2011; John Timmer, ARS Technica, December 21, 2011; Jonathan Amos, BBC News, December 21, 2011; and Irene Klotz, Discovery News, December 21, 2011; -- see table below). On December 20, 2011, scientists working on NASA's Kepler Mission team announced the discovery of two Earth-sized planets around "Kepler 20" (previously categorized as "KOI-070"), a G-type star slightly smaller, cooler, and dimmer than our Sun, Sol, located around 946 +/- 98 light-years away. Kepler 20 "e" has around 87 percent of Earth's diameter and an orbital period around its host star of only 6.1 days, while Kepler 20 "f" is around the size of Earth (1.0 +/- 0.1 times Earth's diameter) and an orbital period of 19.6 days. Both planets are very hot, and the Kepler Mission has detected three other larger planets ("b," "c," and "d") around their Kepler 20, with diameters ranging from below Neptune to super-Earth in size and orbital periods of 3.7, 10.9, and 77.6 days; with 8.7, 16.1, and under 20.1 Earth-masses, respectively, based radial-velocity measuresments. The orbits of all five planets would lie within Mercury's orbit in our Solar System (NASA news release and science news; Kepler news release -- both with orbit animations; Freesin et al, 2011; Govert Schilling, ScienceNow, December 7, 2011; Lisa Grossman, New Scientist, December 20, 2011; and Pallab Ghosh, BBC News, December 20, 2011 -- see table below). located around 950 light-years away (more). On December 5, 2011, on the opening of its inaugural science conference at NASA's Ames Research Center, the Kepler Mission team announced 1,094 new planetary candidates, bringing the running total of potential planet discoveries to 2,326. Of those Kepler planetary candidates, 207 are roughly Earth-size, 680 are super-Earth-size, 1,181 are Neptune-size, 203 are Jupiter-size, and 55 are larger than Jupiter. 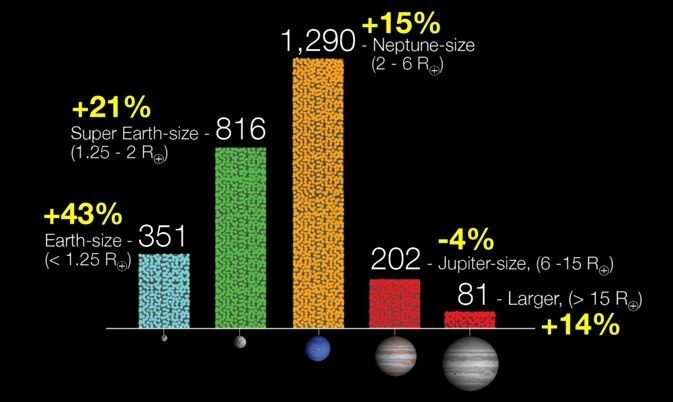 Based on Kepler observations conducted from May 2009 to September 2010, the planet findings show a dramatic increase in the numbers of smaller-size planet candidates, where Earth-size and super-Earth-size candidates have increased in number by more than 204 and 136 percent, respectively, since the last Kepler announcement in February 2011. 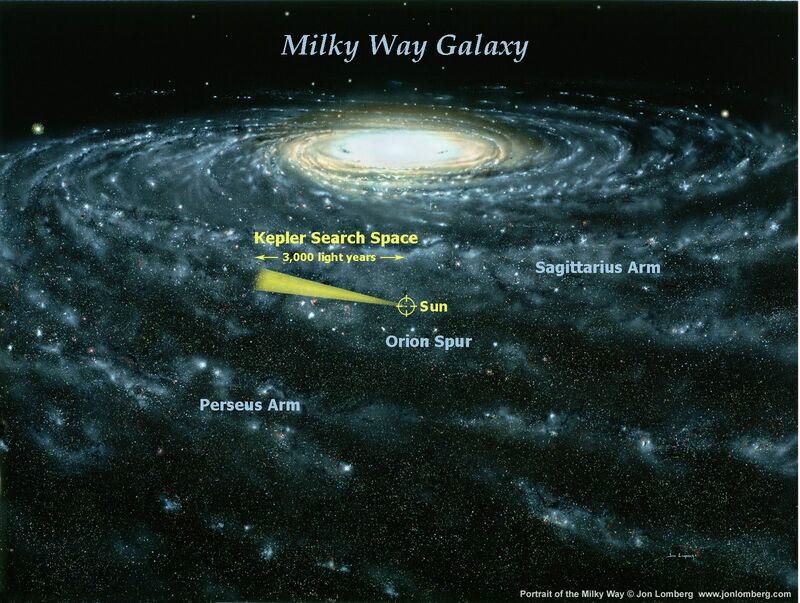 The new data indicate that planets from one to four times the size of Earth may be abundant in our galaxy. Thus far, Kepler has found 48 planetary candidates in their host star's habitable zone (of which 10 are near Earth-size), but this number is a decrease from the 54 reported in February 2011 only because the Kepler team is now applying a stricter definition of what constitutes a habitable zone around stars to account for the warming effect of planetary atmospheres, which would move such a zone away from the star, outwards in orbital distance resulting in longer orbital periods. Among those potentially habitable planets is Kepler 22 b, this "super-Earth" orbits within the habitable zone of a G5 star, that is only slightly smaller and cooler than our Sun, Sol (NASA news release; and Kepler Press Conference slides -- in pdf). a G5 star within its habitable zone (more). On January 11, 2012, scientists working on NASA's Kepler Mission team announced the discovery of the three smallest planets yet detected orbiting a star beyond our sun. The planets have hot inner orbits lasting less than two days around a red dwarf (spectral type M) star designated KOI-961, which have only 0.78, 0.73 and 0.57 times Earth's diameter (where the smallest may be as small as Mars). The planets' diameter were estimated by modelling the observed dips in starlight from Barnard's Star, which appears to be a near-twin of KOI-961, which is located around 130 light-years away in Constellation Cygnus (NASA news release; Vanderbilt University news release; Kepler news release; JPL news release). On Wednesday, February 2, 2011, NASA's Kepler Mission revealed that, thus far, it has detected 1,235 planetary candidates orbiting 907 host stars, from a survey of some 155,453 stars in constellations Cygnus and Lyra, using the transit method which requires a rare orbital alignment across the face of the host star as seen from the Solar System. Most of these potential planets appear to be much smaller than gas giants (like Jupiter and Saturn); they include 19 larger than Jupiter and 165 Jupiter-class objects, 662 Neptune-class planets, 288 "super-Earths," and 68 Earth-sized planets (0.5 to 1.25 times Earth's diameter). Many of these objects have been found to be members of some 170 multi-planet systems. (NASA/Kepler press release; Borucki et al, 2011; and Lissauer et al, 2011a). and more detailed, close-up map. zone of their host stars (more. 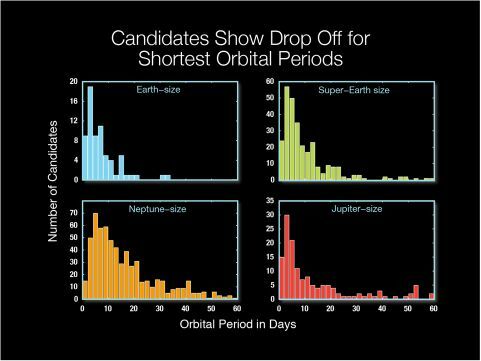 Kepler's growing haul of planetary candidates was obtained from four and half months of observations conducted between May 2 and Sept. 17, 2009. By comparison, confirmation of an Earth-sized planet orbiting its host star at a distance of one AU like the Earth would take a full 12 months of observations, plus another year or two of repeated observation to confirm the orbital period. As the space telescope observes its patch of sky for ever longer periods, astronomers expect the detection of Earth-sized planets at farther orbital distances from their host star to grow, so that the discovery of an Earth-sized planet in a habitable zone orbit around a Sun-like star may only be a matter of time (NASA/Kepler press release; Borucki et al, 2011; and Lissauer et al, 2011a). Larger and jumbo presentation slides. On December 21, 2011, scientists working on NASA's Kepler Mission team announced the discovery of two planets smaller than Earth around "KOI 55" (Kepler Objects of Interest, or KIC 05807616 and KPD 1943+4058), a B subdwarf star that has already thrown out most of its mass during the red giant stage. Much brighter, hotter, and smaller than our Sun, Sol, located around 3,900 light-years away. In its past, KIC 05807616 had used up its surface layer of hydrogen, then helium, then expanded out to red giant size, enveloping two orbiting gas giants in the process, which eventually evaporated the volatile layers of gas and mantle off the planets, and then shrinking back again as an unusually hot form of dwarf star, "a seemingly isolated pulsating hot B subdwarf." These stars are now fusing the helium that has built up at their cores after blowing off its surface layer of hydrogen and leaving nothing but a helium fusing core behind for less than 20 million years. In addition to its high temperatures, KOI 55 undergoes regular fluctuations, or "pulsations." Currently designated KOI 55.01 and KOI 55.02, the two planets have around 0.76 and 0.87 times Earth's diameter with orbital distances of only 0.0060 and 0.0076 AU and periods of 5.76 and 8.23 hours around KOI-55, respectively (University of Arizona news release; Center for Research in Astrophysics of Qu�bec press release; Charpinet et al, 2011; John Timmer, ARS Technica, December 21, 2011; Jonathan Amos, BBC News, December 21, 2011; and Irene Klotz, Discovery News, December 21, 2011; -- see table below). On December 20, 2011, scientists working on NASA's Kepler Mission team announced the discovery of two Earth-sized planets around Kepler 20 (previously categorized as KOI 70), a G-type star slightly smaller, cooler, and dimmer than our Sun, Sol, located around 946 +/- 98 light-years away. Kepler 20e has around 87 percent of Earth's diameter and an orbital period around its host star of only 6.1 days, while Kepler 20f is around Earth-size (1.0 +/- 0.1 of Earth's diameter) and an orbital period of 19.6 days. Both planets are very hot, and the Kepler Mission has detected three other larger planets (b, c, and d) around their Kepler 20, with diameters ranging from below Neptune to super-Earth in size and orbital periods of 3.7, 10.9, and 77.6 days; with masses of 8.7, 16.1, and under 20.1 Earth-masses, respectively, based radial-velocity measuresments. The orbits of all five planets would lie within Mercury's orbit in our Solar System (NASA news release; Kepler news release -- both with orbit animations; Govert Schilling, ScienceNow, December 7, 2011; Lisa Grossman, New Scientist, December 20, 2011; and Pallab Ghosh, BBC News, December 20, 2011 -- see table below). -- as imagined by Schindler (more). On August, 24, 2010, astronomers working with the European Southern Observatory's HARPS instrument announced the discovery of a tightly packed, planetary system with up to seven possible planets in roughly circular orbits around the Sun-like star HD 10180 in Constellation Hydrus (ESO press release; and Lovis et al, 2010). Orbiting their star at distances ranging only from 0.02 to 3.4 AUs, the HD 10180 system contains at least five Uranus- to larger than Neptune-size planets (with a minimum of 12 to 25 Earth-masses), and there is evidence supporting two additional planetary candidates, an innermost object which has at least 1.52 Earth-masses (Mayor et al, 2011) and an outermost sub-Saturn-size object with around 65 Earth-masses. Hypothesized to be possibly "Earth-sized" from six years of radial velocity measurements but not yet confirmed, planetary candidate HD 10180 "b" would have a very tight orbit around its Sol-type, host star (spectral and luminosity type G1 V), with a period lasting less than 1.2 days (28 hours). Due to a short orbital distance of just 0.022 AUs, such a planet is probably much too hot to support Earth-type life (summary information above, under "Earth-sized but Not Earth-like Planets"). © 2010-2015 Sol Company. All Rights Reserved.